Voidworks wrote: Hi. If you ever happen to work on this again, please revert "Neko", "Mecha", etc. We have the original source, so how to handle the romanization isn't as cryptic as you're imagining. Those are some pretty rude comments, aren't they? Trust me, the translation was nowhere near "rushed", and I'm not sure what we're supposed to be "reacting" to in your mind. It also couldn't be further from the truth when you say that we don't respect the source. Rather, it is BECAUSE of our respect for the material that we make sure to do the best job we can. Type-Moon is notoriously bad with engrish and romanization. Just because they made a poor choice, it doesn't mean that we're forced to follow them on it -- that's not a matter of respect, but of doing a proper job on our end. We are translating/localizing, not running the game through Google Translate and calling it a day. The experience we provide to our audience (you guys!) is the top priority here, and that means keeping things both smooth AND accurate while following the spirit of the material. 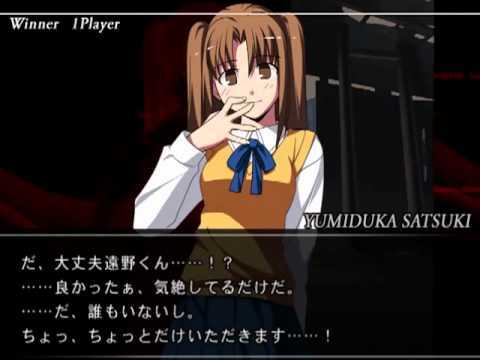 Here's something interesting... you mentioned "Mech" and "Neco", but you left out "Yumiduka" -- did you know that that was the romanization Type-Moon uses for her? mirror moon has been changing that from "Yumiduka" to "Yumizuka" for a long time now, since "Yumiduka" is undeniably a poor choice. There are a few different romanization styles out there, but using "du" for づ is generally considered poor form as it doesn't approximate the sound correctly. Moving away from romanization styles, "Mecha" is an easy change just on the grounds of common sense. The Japanese is メカ (meka) -- if you listen to the dialogue being spoken, they are LITERALLY saying "mecha". It also works better when you speak the name. The hard-to-soft transition of "Mech-Hisui" sounds more like "Mek kisui" when spoken, while "meka hisui" has much better distinction. It's unclear why Type-Moon decided to deviate and write "Mech" in the text, but they even contradicted themselves here -- and again, it doesn't mean it was a good choice. As for "Neco", going through the scripts you'll see that TM uses three different methods of describing the neko-arcs: 猫, ネコ, and NECO (always all-caps). Neko, neko, and... NECO? That's an outlier. In fact, NECO is only used in a couple of instances... the grand majority of the time they use one of the first two forms. Their race is very clearly described as some kind of freakish "cat" in almost every single case. So again, they have ruined their own consistency by using a weird romanization. And honestly, the signs all point to incorrect romanization based on poor English skills. "Neco Arc" is without a doubt INTENDED to be "Cat-Arcueid", which (combined with everything else I mentioned) makes "Neko-Arc" a better choice. I'm well aware that the fanbase has already adopted "Neco Arc", and I brought it up with the rest of the team when we were discussing this. However, we ultimately decided that we didn't have to be bound by any preset community decisions. Type-Moon makes some very great things, but they are not infallible. It is not an act of blasphemy to smooth out some of the wrinkles when there doesn't appear to be any reason for them to exist besides a lack of English knowledge. any news from arc system works???? With the official revelation that MBAACC will leave all translated by Arc System Works, including story-modes, here is officially over and closed the translation work of mirrom moon relative to MBAACC game not to hurt more the "copyright". Just hope they do not have the nerve to try to change the voices of the characters to those of English voices, would be very alien and strange, at least for me. Yeah, I clearly chose the best time for that last post of mine. The translation in the screenshots they released (as well as their steam description) doesn't look all that great, but it'll probably be good enough. And they kept "Yumiduka", which is pretty awful. But I suppose we'll see what the full package is like on the 19th. Man, I can remember when I got on this ride a while ago, when there were barely any characters translated and not that much was done. I can remember checking periodically, hoping that I would get the good stories as well as the side ones that enrich the greatest installment of the Tsukihime series and one of the best stories in the Nasuverse. Come April 19th (says on Steam) I will finally have it all. My deepest and most sincere thanks to the translators who put their hearts and souls into translating this masterpiece for the fans. Thanks for all the care and detail you put into the text. This truly is something great. I thank you. Very, very soon, I will have all the stories to one of the best set of characters I have seen. Thanks for the wild ride. Hi, everyone. Thanks for all the support! I bought the Steam version today and decided to take a look at the files. to keep the original Steam files intact. Avast! antivirus and possibly others might cause the announcer voice selector to run very slowly. Disable DeepScan or add to exceptions for it to work properly. ArchDemon wrote: Hi, everyone. Thanks for all the support! Well one could make a new file extractor 000x.p, as though the old that I still have is able to extract all the content of the game in steam version, the files are correctly will have extracted staying with graphical errors in photos , pics and text files. Although I must say that the game is fully translated into English, including all the Boss Rush Mode text as well. Note: Avast! antivirus and possibly others might cause the voice selector to run very slowly. Disable DeepScan or add Voice.exe to the exceptions for it to work properly. 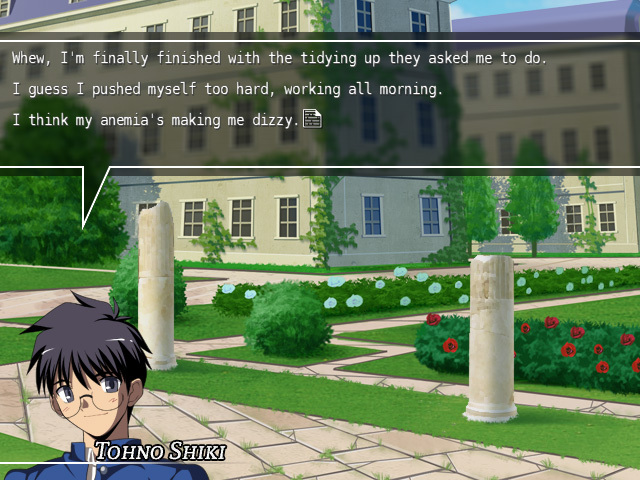 ArchDemon wrote: I could try to whip up something unofficial, but we currently have no way to repack the Steam files. I'll give it some thought over the next week or two. Please don't forget to consider making a translated version of the demo. Heh, thanks for reminding me. I've been all over the place lately, so it slipped my mind. I've had a look at it and it's mainly image editing left, iirc. The Carnival Phantasm advertisement might be a bit tricky, but I'll see what I can do. Hi guys. Sorry I've been silent for so long. Just letting you all know that I've been working on a side project for a bit and that I haven't forgotten about the demo. I still have some images to edit, so I'll probably be another week or two unless someone else beats us to the punch. ArchDemon wrote: Hi guys. Sorry I've been silent for so long. You are working on the translation of the Boss Rush Mode? Perfect! This is the only way back to be translated to understand the history of the game and I will confess to you. Translations you do in MBAACC are much closer and faithful to the original game scrpit in Japanese than the translation done by Arc System Works. In many translations, they forget to put the names of the characters in conversation pieces. Anyway, I'm waiting for the translation of the Boss Rush Mod. Until then. PM: I could not send me the translated names of the stages that are in Japanese to understand better in a PM, as the official version translated into English from Arc System Works did not. Can someone please update voice selector? Because when i run it throug MBAAV.exe i cant see v-sinc in options(recent version of the game have it) and there was a few random crashes.